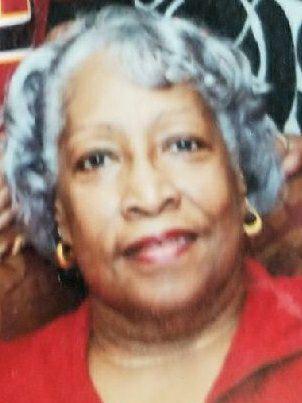 Obituary for Lillian Mae Wright | Gaschs Funeral Home, P.A. Lillian Mae Wright was born on May 7, 1943 in Culpeper, VA to the late Herbert Brown and Edith Cottom. Lillian was affectionately known as “Cookie” by her family and close friends. Cookie was the eldest of ten children, which she leaves behind a brother and sister. Her beloved husband James E. Wright and children Yvonne Wright-Daddieco, Jerome Moore (Denise), Jackie Ferguson (Howard), Linda Wright, Sharon Brown (Charles) and Lisa-Ann Burnett (Amos). 15 grandchildren and 9 great grandchildren. Her best friends Hosea Moore, Freddy and Ruth Elliot who was dedicated to the end. “Cookie” was well known for wanting the best for all that came into contact with her. Whether it was teaching someone how to invest in stocks and bonds, quilting, knitting, crocheting, and her favorite was gardening. When you walked into her backyard it was just like walking into an enchanted forest. In the spring and summer time she would be in the backyard before the sun would rise to attend to her yard, often moving flowers and plants to different locations. Learning new things and travelling to different locations of the world was a joy for her, she also instilled into her children to do the same. She had many words of wisdom but one of her favorites were…DO NOT LIMIT YOURSELF!